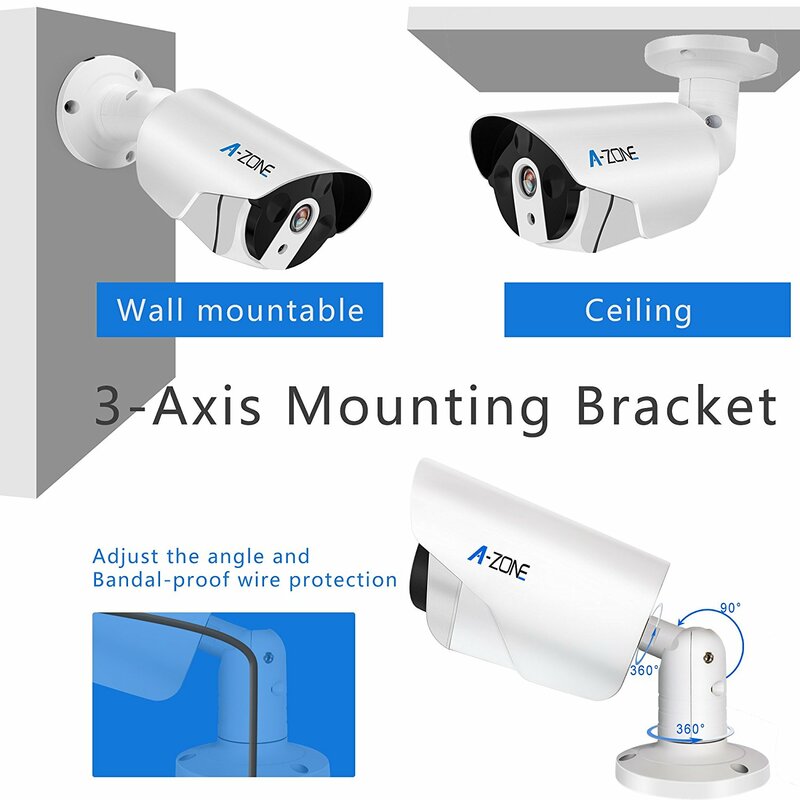 Easy to configure, access, and control. 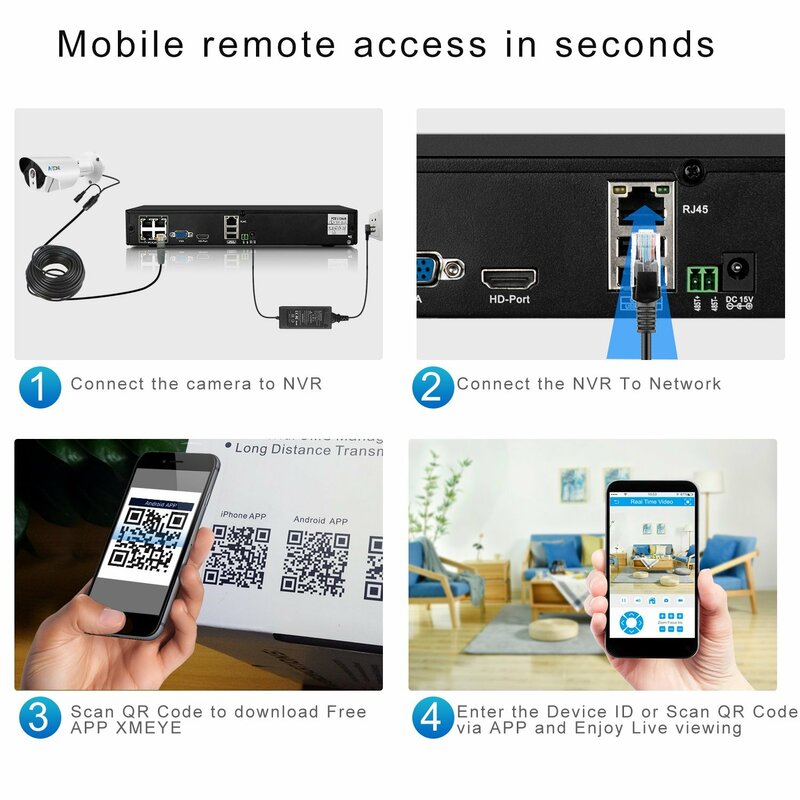 Scan QR Code on the NVR from the "XMEye" app (available on iOS and Android),Watch or playback footage on the road with A-ZONE's app "XMEye", it's FREE and downloadable on your smartphone, tablet, PC or Mac. 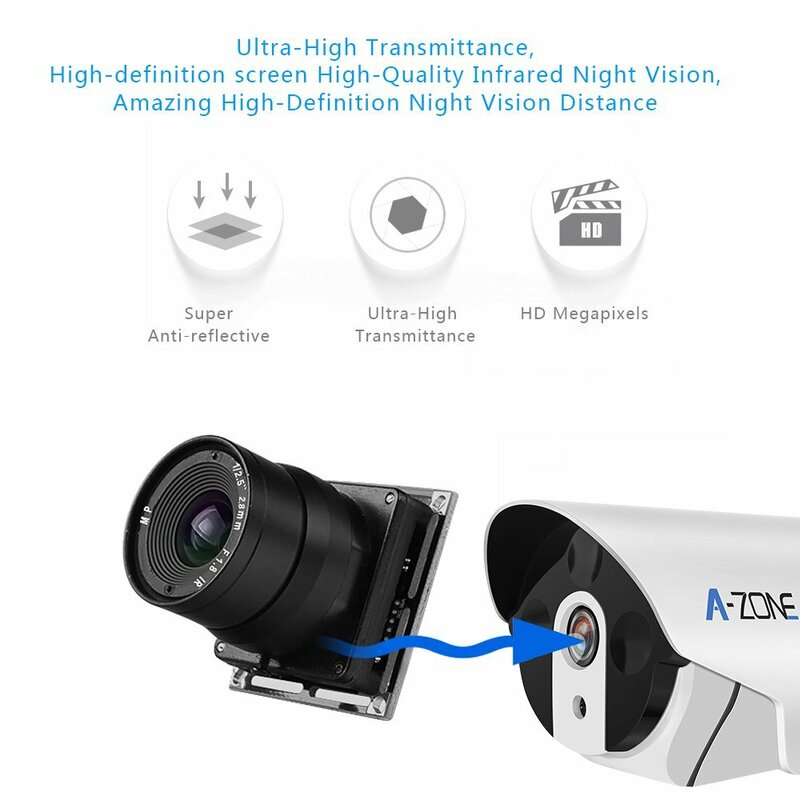 Real-time HD 2MP 1920 x 1080P IP camera; 3.6mm fixed lens for wide angle view. 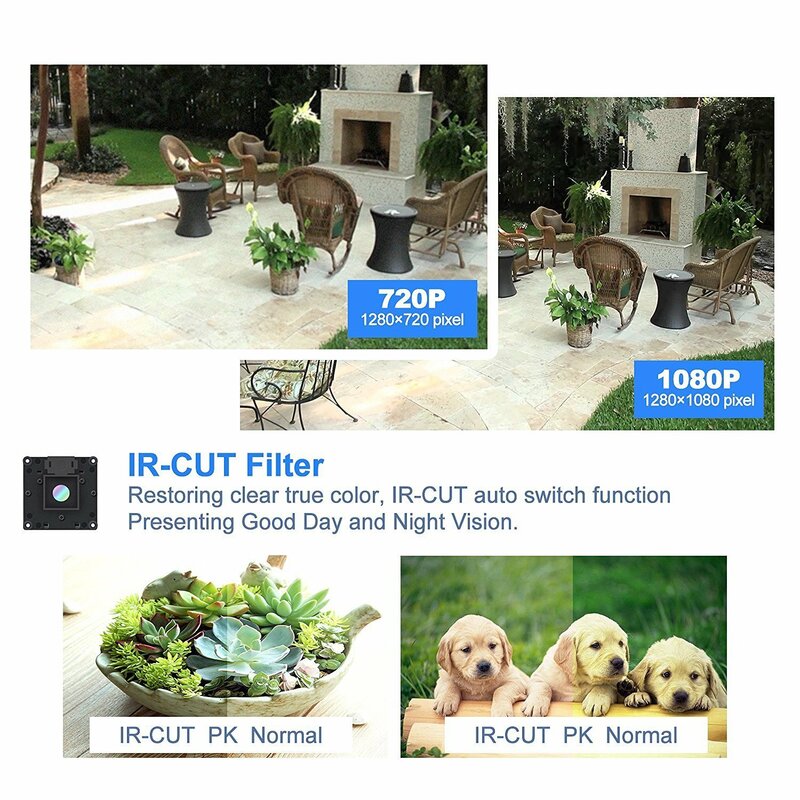 36 LEDs night vision and IR-cut offer you the clear video footage at anywhere anytime. 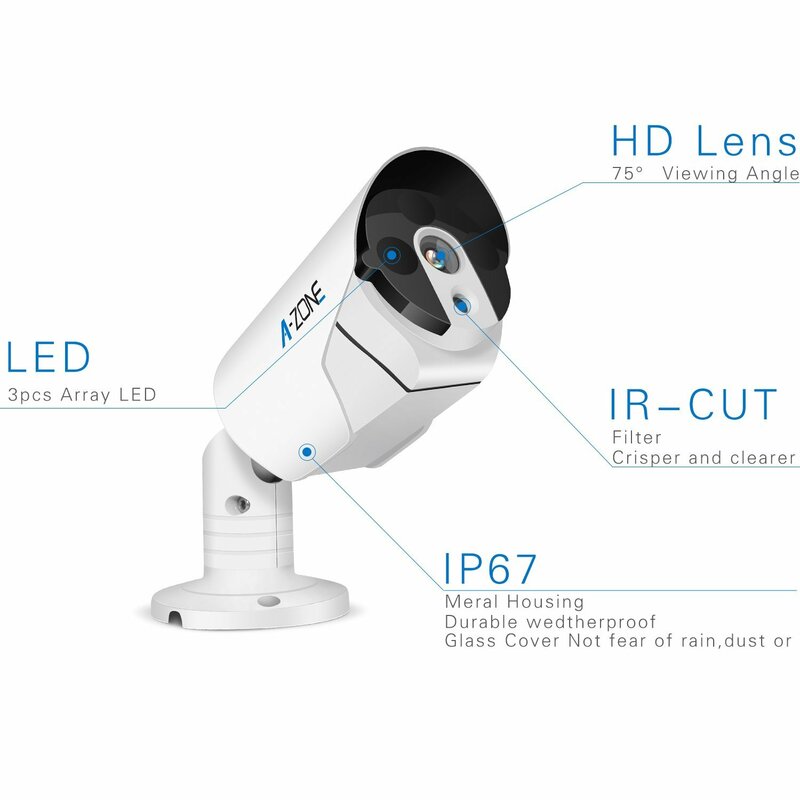 All 4 cameras are IP67 rated and can be used both indoors & outdoors.Catch everything Day or Night, automatic night vision allows you to see in the dark up to 98ft. 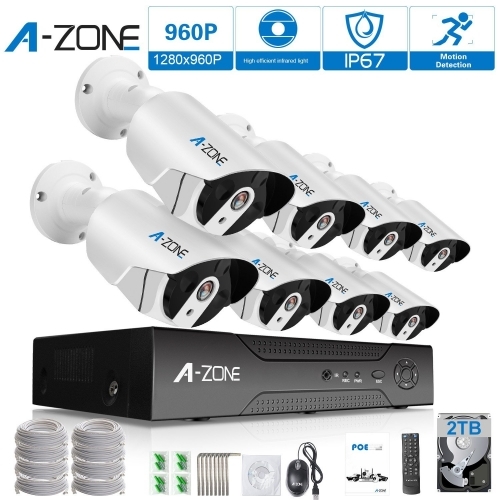 Includes Pre-installed 1TB Hard-Drive, USB Backup, 4 x HD 2.0MP IP67 Heavy-Duty Metal Indoor,Outdoor Weatherproof Cameras and All Cables and Power Supplies Necessary to Get Started. 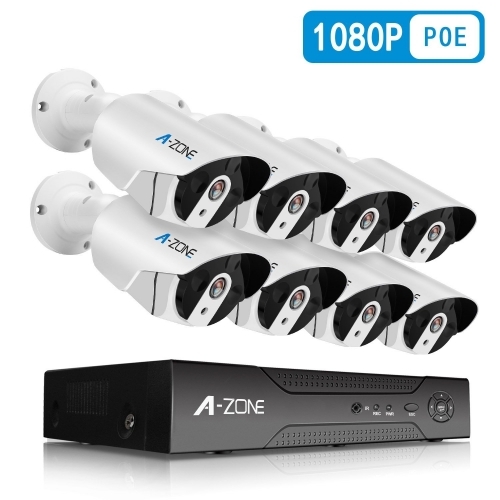 A-ZONE comes with one 4-channel 2MP POE NVR and four 2MP bullet cameras, with a built-in 1TB HDD. The 1080P HD quality video offers sharp resolutions. 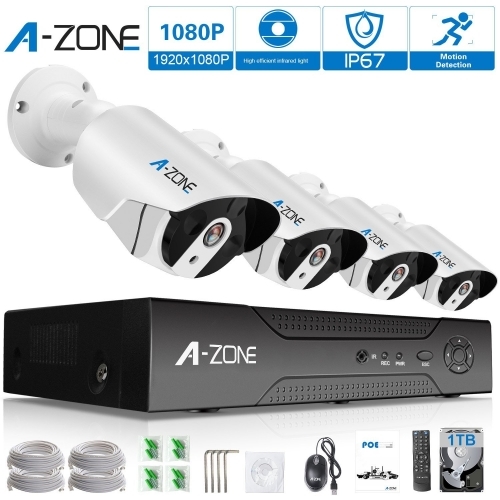 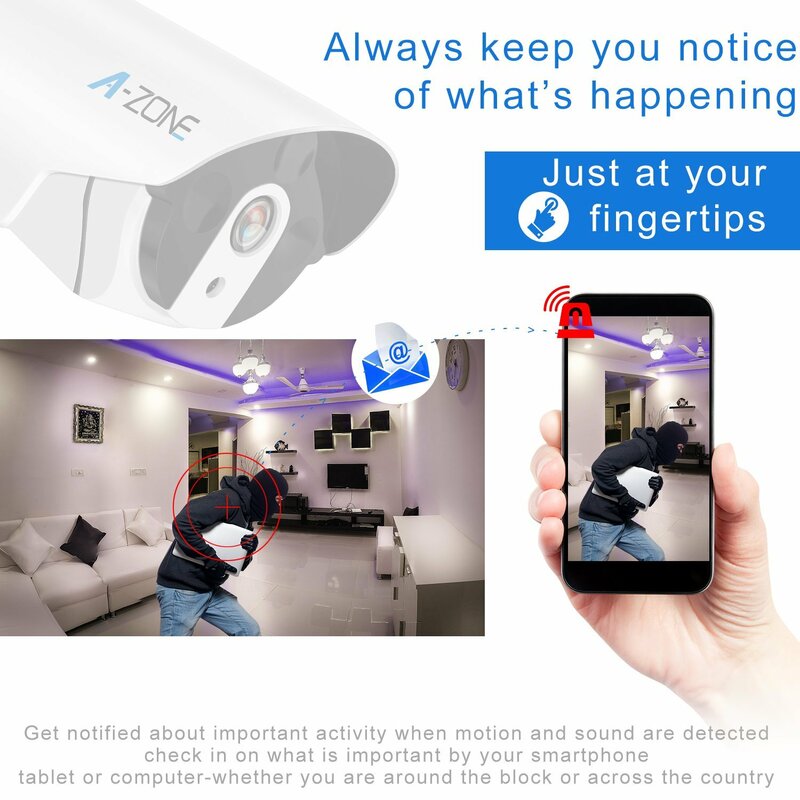 The security camera system won"t occupy and congest your home network, and it can transfer stable videos in its internet.The installation is as easy as any common security systems by Ethernet cables, and this system gives much higher resolution and image quality.